At 82 years old, Shirley Curry has the sort of YouTube presence many twenty-something influencers would give their best Instagram post for. 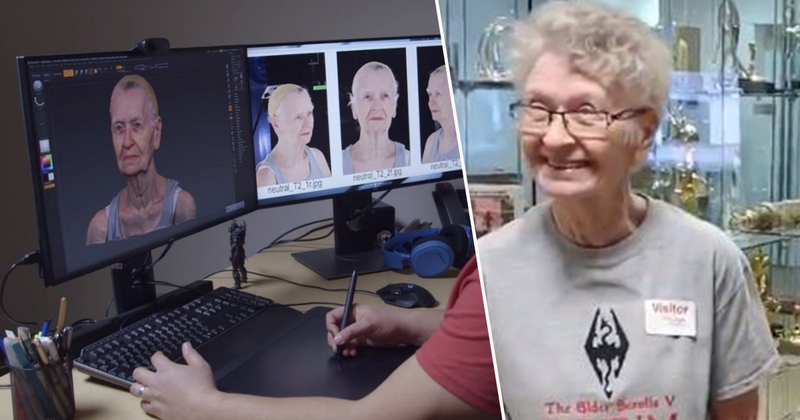 Her enthusiasm for the Skyrim games and lovely personality has led Shirley to an impressive and loyal following of over 500,000 subscribers – who she refers to as her ‘grandkids’. And now the Virginia-based grandmother will make an appearance in The Elder Scrolls VI, all thanks to a petition by fans to have Shirley added to the game as an NPC. For those who don’t know, Shirley Curry is an 82 year old (I think) Skyrim enthusiast who has gained a significant following. She was heartbroken (and broke my heart) when she found out that TESVI probably won’t be released until she’s 88, which means she might not get to play it. This reminded me of another TES superfan, Erik West, called “Immok the Slayer,” who died of cancer mere months before Skyrim was released. Bethesda, in a very cool move, put him into the game as Erik the Slayer, one of the more fleshed out and interesting followers. I think he’s also the only one that is a true barbarian, favoring light armor and two-handed weapons. As reported by US Gamer, the clever team at Bethesda Software have listened to fans wishes, and will be adding the beloved YouTube sensation to the upcoming game. That petition for Skyrim Grandma we did hear, and she will be immortalized in the game. This means a lot to me because I would be extremely happy to know that somebody else was playing with my character in a future Elder Scrolls game. Shirley will be added to the game using super smart photogrammetry technology, which takes scans of real-life objects before translating them into highly detailed 3D. So far, it is unclear when The Elder Scrolls VI will be released, with the game still being in the early stages of development. Well done Shirley, keep on being your wonderful self! Find out more about Shirley on her popular YouTube channel.